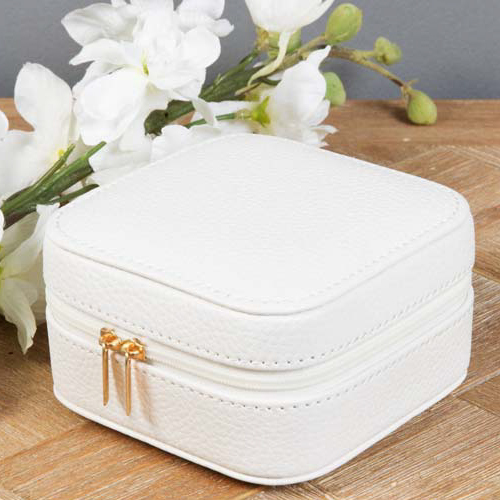 A stylish, white faux leather jewellery box featuring rose gold finished zip and grey faux suede lining. Complete with cushioned ring roll and inside lid mirror, so you can look your best on the move. This small, portable jewellery box is ideal for holidays or business trips. 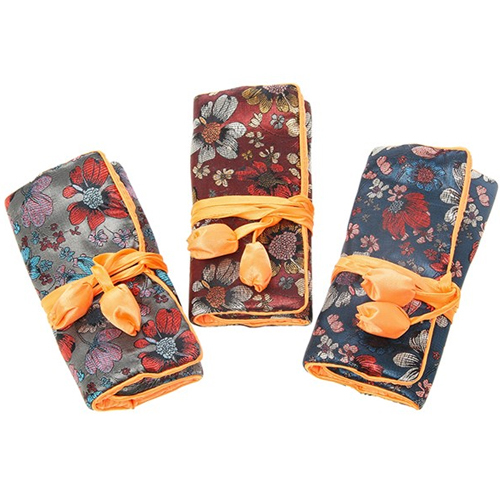 Sophia encompasses a broad collection of high quality ladies giftware covering everything from classic home accessories and collectibles to modern and stylish stationery.